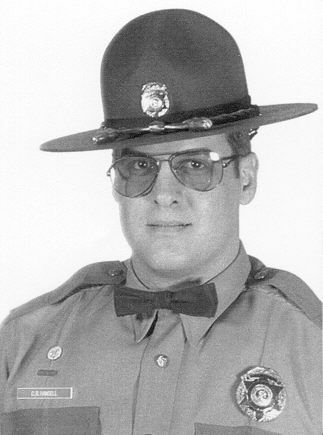 On Wednesday, July 22nd, 1987, Washington State Patrol Trooper Cliff Hansell was involved in a collision while responding another collision scene. The incident occurred on North Central Avenue in downtown Kent. Trooper Hansell was traveling through city streets at a high rate of speed when he suddenly had to swerve. His patrol car collided broadside with the front of a semi-truck. Trooper Hansell died of massive injuries. Trooper Hansell is survived by his wife and stepdaughter.